Your stay in Valencia is not complete without tasting good Valencian wine! With us you can taste the best local wines, made with native grapes, and you can learn about wine making and wine tasting. They also make very good Cava in Valencia, so a Cava tasting is also possible! And even vermouth tastings are an option – vermouth has made a come back, with many wineries producing their own ‘vermut’. A wine tasting does not have to be boring or serious business, of course! 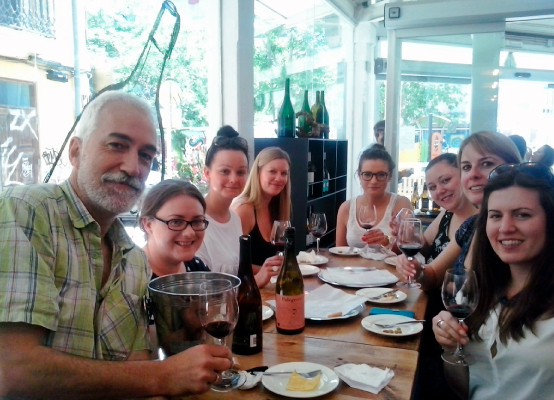 We regularly do wine tastings for hen parties and the like, and groups of young people that don’t usually drink wine – they always enjoy it. Wine tastings can be real fun! 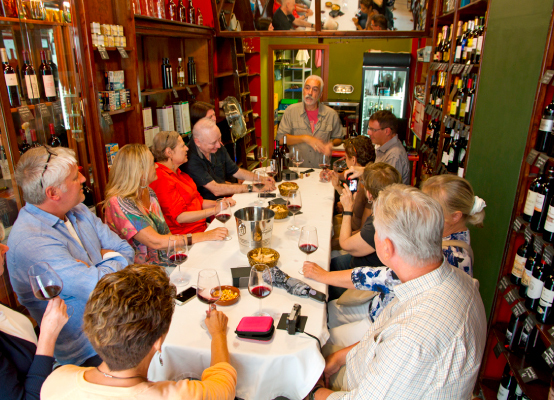 We usually do our wine tastings in a small cosy bar in the old centre of the city, in the ‘Barrio del Carmen’; we can do it in English, or other languages, for big and small groups. We usually taste Valencian wine, which is much better than many people, even here in Valencia, think; and we like to use wine made with the native grapes like Bobal, Verdil or Mandó, that cannot be found anywhere else. Of course, we can also taste wines from other regions, whatever you prefer. The important thing is that you drink wine – if only because of its many health benefits! With us you book your wine tasting without paying commission to middlemen! Our prices are reasonable, from as low as 10€ pp: prices depend on number of people, number of wines we taste, and the quality/price of those wines. And of course you could get some nice tapas with your wine ! you decide how much you want to spend! 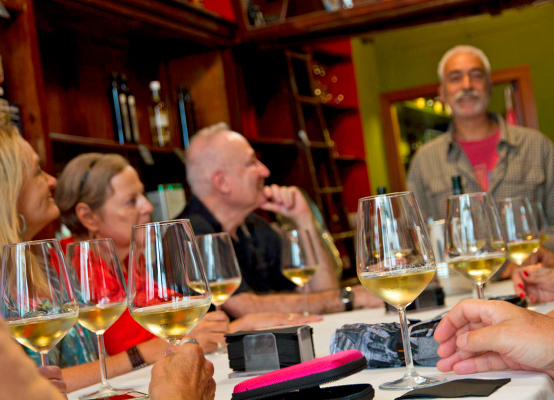 Nowadays Valencia makes very good dry white wine – come and try them at our wine tastings! Would you like to know more about our wine tastings? Contact us for more information, options, and quotations.